Being a fan of the Chew, I constantly find myself adding recipes to my "must make" list. Tonights recipe is from Vanessa Wong, who was on the Chew debuting this amazing recipe. For the Balsamic Marinated Steak: Mix all ingredients in large zip lock bag. Marinate in refrigerator overnight. Remove from fridge 30 minutes prior to cooking. Grill for 2 to 4 minutes per side side for medium rare or 4 to 6 minutes per side for medium. Remove from heat and let rest for 5 minutes before slicing. Serve with steakhouse salad below. 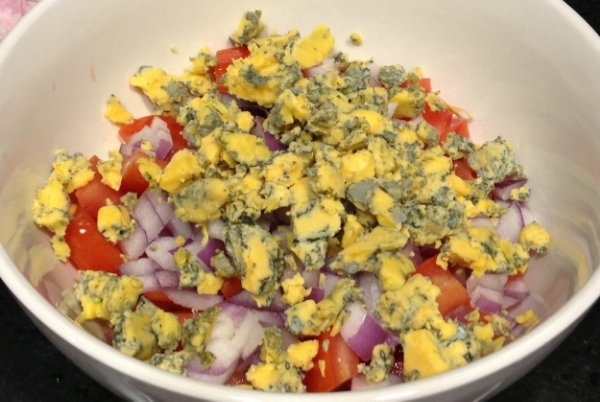 For the Steakhouse Salad: Mix tomatoes, red onion and cheese in large mixing bowl. Drizzle with balsamic, olive oil and salt and pepper to taste. Chill in refrigerator until ready to serve. 1. No need to chop the rosemary in the marinade. Rather, just give it a little rub to bruise the herb and help release the essential oils. 2. Pound the steak to tenderize the meat. 3. The balsamic vinegar and brown sugar create a delicious caramelized crust on the steaks. 4. After cooking, allow the steaks to rest and slice against the grain to ensure tender steak.